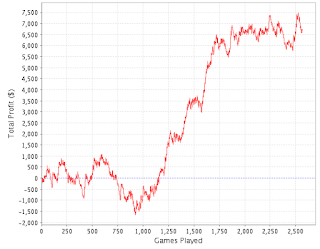 I'm struggling a little with the emotional rollercoaster ride that is poker. A few days ago I thought I was King of SNGs, and that I was going to be rich by the end of the year. Now I feel like I've forgotten how to play the damn game! I'd love to know what I'm doing differently now as opposed to on my upswong; whether there's something tangible or if it's simply variance. I think the problem with going for Supernova Elite is that you are playing so much poker that you pick up leaks, and although I'm trying my hardest to fight them off by fitting in as much study as I have time for, perhaps it isn't working. 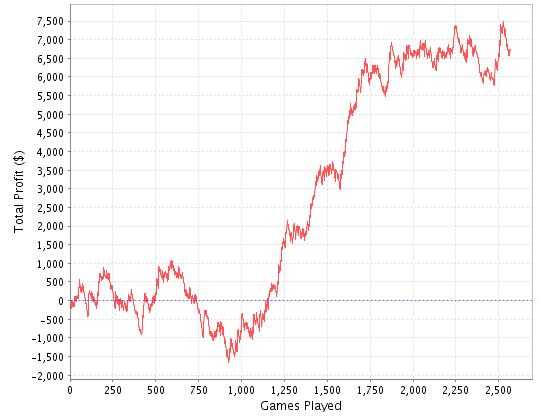 I'm yet to have a full day off, only two half days so far, and am averaging ~9 hours at the tables a day when I've played. Grinding hard! The software recently updated to incorporate a new 'Home Games' feature. I haven't really had a chance to explore this, all I know is I keep getting invited to random games on Facebook, but I don't really have time to fit in any extra poker at the moment! It does sound kinda cool though, will have to check it out soon. 3 Comments to "___/‾‾‾‾ graph & WBCOOP"
gl Brian, don't let them drive you crazy!